These raspberry macarons are crunchy and easy to make. The cream is made with fresh organic raspberries. It also tastes fantastic, I’ve tried various macaron recipes for the past 3 months but this is the only one that has worked very well. These sweet little meringue based cookies come from France where they originated from. 1.) In a mixing bowl add egg whites and salt, mix on a medium speed until the cream is nice, soft and fluffy after add sugar and mix again. Sift the almond powder and confectioner’s sugar side by side on a large tray. 2.) 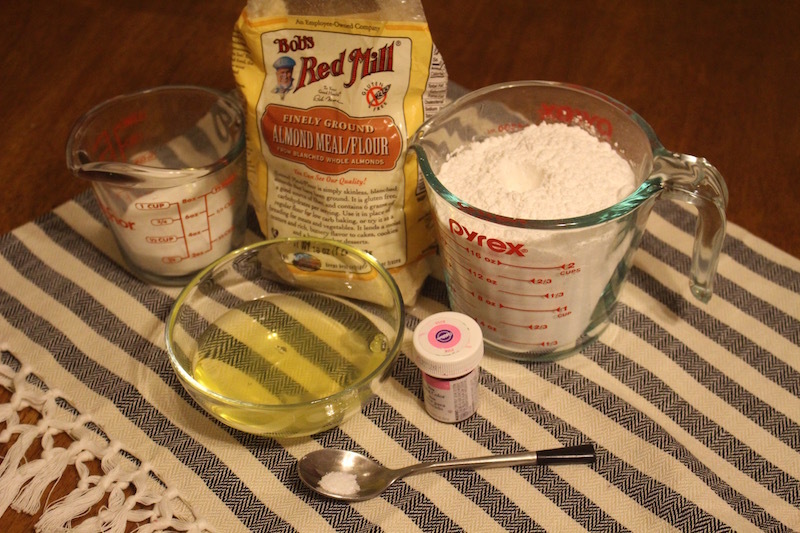 Mix together the almond powder and confectioner’s sugar with a rubber spatula. Add the confectioner’s sugar mixture into the cream. Mix in your food coloring and your cream is completed. Note: You can use any food coloring you would like and it will come out the same! 3.) Pour your cream into a piping bag with a circle tip at the end and pipe out small circles on your mat. Let the macarons sit on the table for 15 min, After pre heat the oven at 300F and let the macarons sit for another 15 minutes. Bake for 15 min and let the macarons cool off. (You can make your own mat or purchase one online, Here is an amazon link : http://www.amazon.com/BakeitFun-Silicone-Measurements-Non-Stick-Raspberry/dp/B00OQP1DPQ/ref=sr_1_7?ie=UTF8&qid=1454209835&sr=8-7&keywords=French+Macaron+mat). 4.) 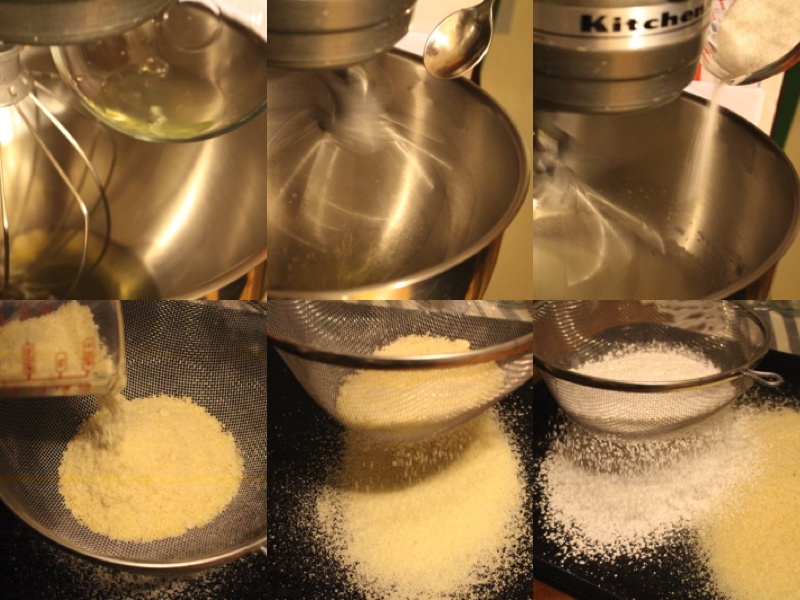 Place softened butter into a mixing bowl beat on a medium speed for 7 minutes. After add confectioner sugar and raspberry jam, mix It well. Place on a beautiful serving and enjoy the dazzling dessert that you have created. 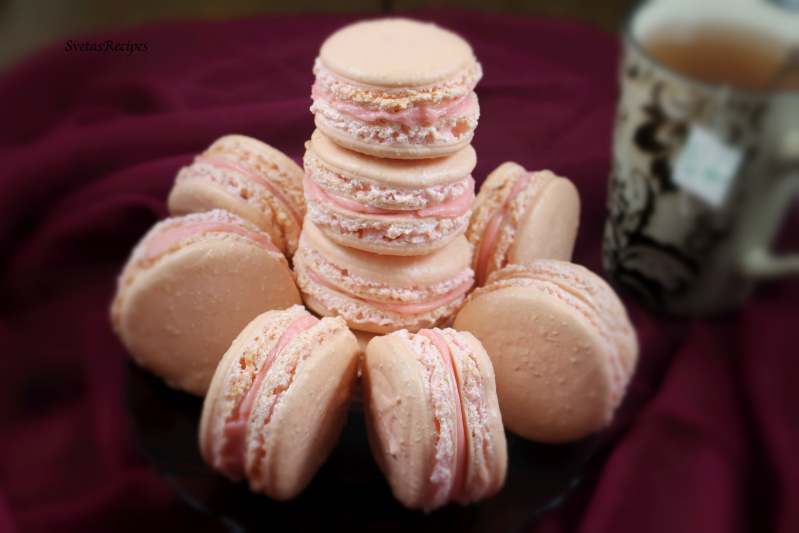 These raspberry macarons are crunchy and easy to make. The cream is made with fresh organic raspberries. 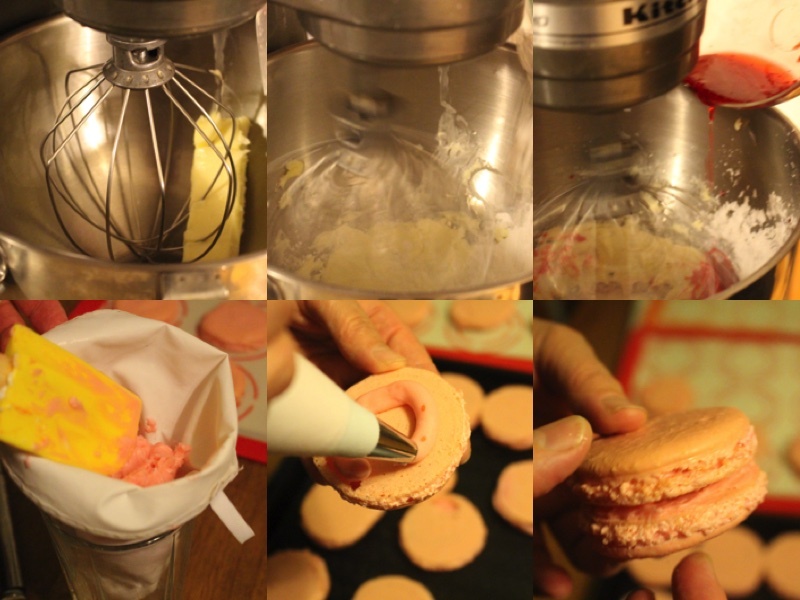 It also taste fantastic, Ive tried various macaroon recipes for the past 3 months but this is the only one that has worked very well. Of course french macaroons come from France they were invented long ago and are very sweet little dessert bites. In a mixing bowl add egg whites and salt, mix on a medium speed until the cream is nice, soft and fluffy after add sugar and mix again. Sift the almond powder and confectioner sugar into 2 different sides of a tray. 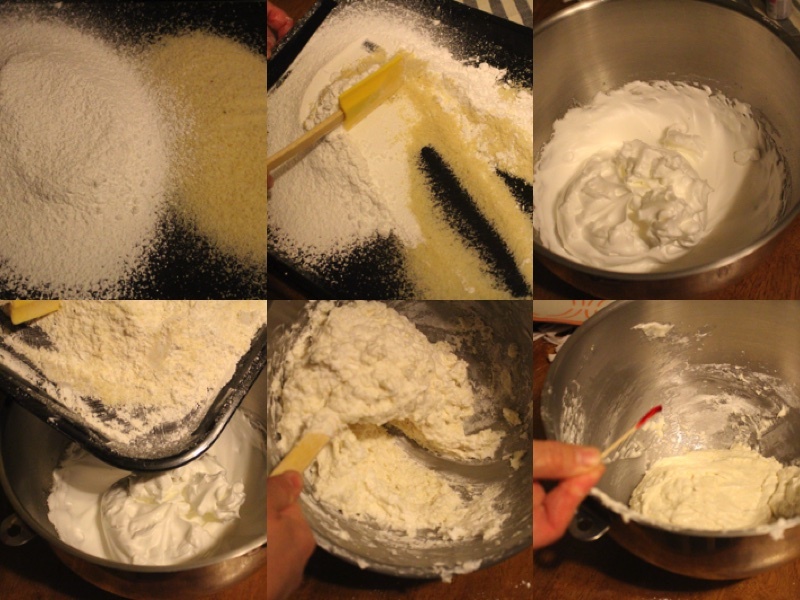 Mix together the almond powder and confectioner sugar with a rubber spatula. Add the confectioner sugar mixture into the cream. Mix in your food coloring and your cream is completed. 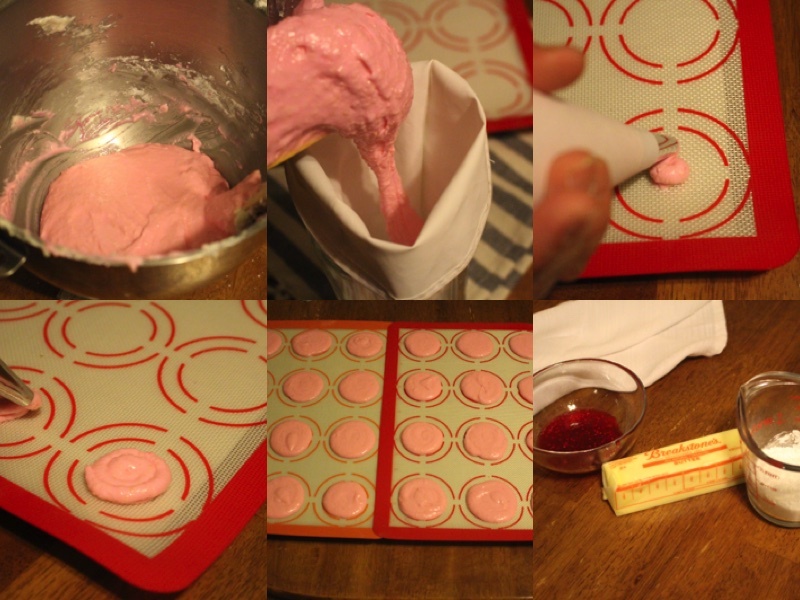 Pour your cream into a piping bag with a circle tip at the end and pipe out small circles on your form. Let the macarons sit on the table for 15 min, After preheat the oven at 300F and let the macarons sit for another 15 minutes. Bake for 15 min and let the macarons cool off. Place butter into a mixing bowl (Room Temperature) beat on a medium speed for 7 minutes. After add confectioner sugar and raspberry jam, mix It well.